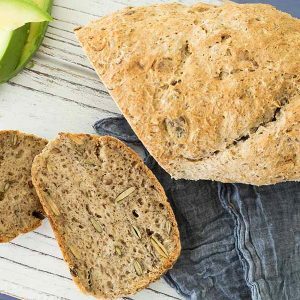 The colder than usual temperatures we have been having made me think, it is time to bake a delicious gluten-free homemade bread. One of the most popular loaves of bread in most homes is sandwich bread. 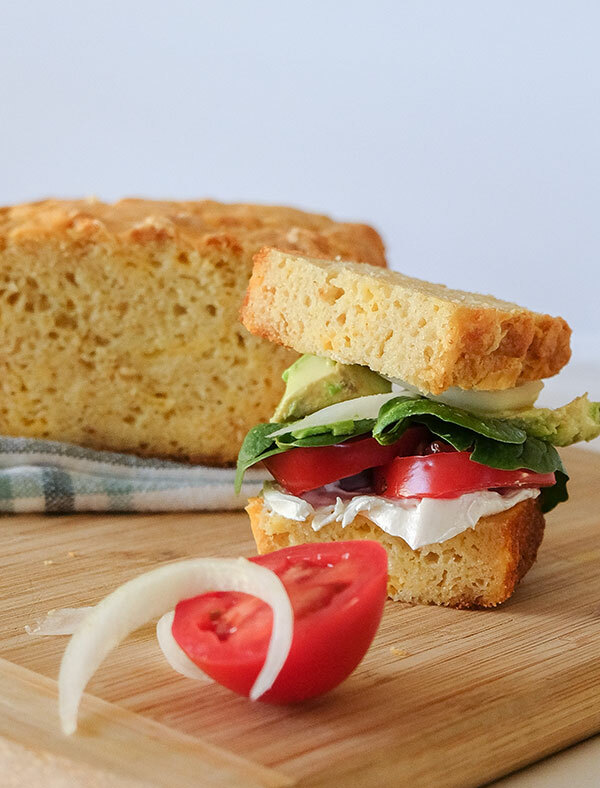 I always wanted to develop that perfect yeast-free sandwich bread without too much work. I mean, we all love freshly baked bread but who has the time to bake fresh bread at home these days? The bread had to have flavour, perfect texture and simple to make. The only grain that I used in this recipe is rice flour, then I flavoured it with a hint of paprika and mustard. Honestly, it adds so much flavour and to finish it I added cheese. The buttermilk keeps the bread nice and moist, not crumbly. 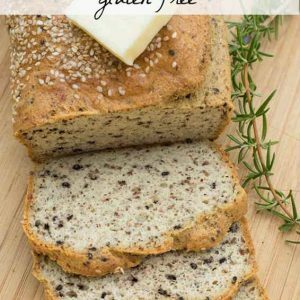 This bread is one of my best gluten-free sandwich bread recipes. Add wet mixture to dry ingredients and mix to combine. Stir in 1 1/4 cup shredded cheddar cheese. Do not over mix!